Emily Graslie seems an unlikely candidate to be a public face of science. A violinist who majored in art history, her interest in the natural world wasn't piqued until she volunteered at a zoological museum to meet a grad requirement ~ and discovered a passion for dead animals. 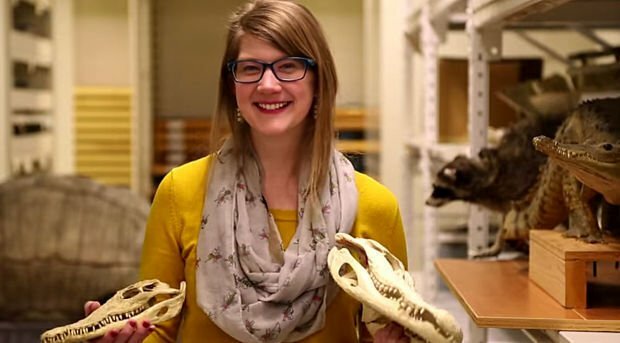 Amidst cleaning and dissecting specimens, Emily started a vlog The Brain Scoop wherein she's tackled everything from how to use flesh-eating beetles to clean bear bones to how sexism deters women from science careers. Today, The Brain Scoop has 450,000 subscribers. And, it's now produced by the Chicago's Field Museum of Natural History, which hired Emily to use her hands-on approach to make science more compelling and fun for everyone.